Should You Consider Getting a Home Warranty? As a homeowner, you just never know when you’ll face unexpected and costly repairs for your home. 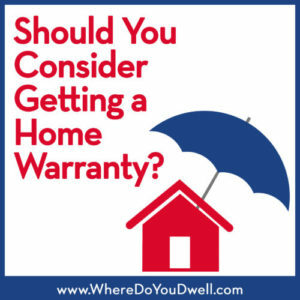 A home warranty can sound like a great solution to this dilemma, but is it really worth it? Home warranties have gotten a bad rap in the past, but like any warranty or insurance policy, the upfront cost could be worth it in the end. But you do need to read the fine print and understand any of the terms and conditions! Read on to learn more about the pros and cons of home warranties and whether it’s something that will fit your particular needs and budget. It’s a policy where your home’s main systems or appliances will be covered for repair work. It’s usually purchased through a home warranty company. It will cover the labor to fix a failed part on a product that your manufacturer’s warranty doesn’t. It will pay for the plumber to fix a broken pipe but not the damage to your home, which your insurance policy should cover. Therefore, it can work hand-in-hand with other home policies when something goes wrong. It’s important to keep in mind that a home warranty is different than home insurance. It’s similar in how car insurance and a car warranty cover different items. Home insurance, like car insurance, covers unforeseen damage and catastrophes, whereas a warranty fixes things that broke earlier than they should have. What are the typical home systems covered and yearly cost? Policies typically include air conditioning heating systems, water heater, furnace, plumbing, any built-in appliances such as refrigerator or dish washer, and for an additional fee, you can add “extras” such as a swimming pool systems. One year of coverage typically costs $400-500 with a $100 deductible when you make a service call. Who can purchase a home warranty? Some warranty companies will allow a homeowner that has been in their home for a long time to buy a warranty. This is a great improvement since previously home warranties could only be purchased by new homebuyers at the time of settlement. What do consumers need to know before they buy? Covers repairs on large systems (heating or air conditioning) but does not always cover replacements. Typically, it will help you keep appliances functioning and in working order. Won’t cover if breakage is due to poor maintenance by the homeowner; typically covers “normal wear and tear” of an item. Excludes certain items – i.e., may cover refrigerator repairs but not the ice maker. Doesn’t cover items once they reach a certain time period or beyond its serviceable life (i.e., 20+ years old). Doesn’t cover pre-existing conditions. Items need to be properly installed, maintained, and in good working condition when you apply for coverage. Doesn’t typically cover roofs and exterior items. What happens when I need to have something repaired? A home warranty company requires you to contact them first when something breaks. They will then contact their service providers to send to your home. They will pay the service provider once the claim is approved. If you call a service provider without contacting them first, the company may not cover the repair. You do not control who can come to your home to repair an appliance or major system. That can be a major downside to some homeowners, especially if they have to wait a long time for a repair. If your furnace breaks down during a cold spell, you have to wait for the home warranty company to deal with their subcontractor. What if something is not covered when I thought it was? Like any warranty for any other type of purchase, there are times the warranty company can choose not to cover something. That’s why you need to read the fine print carefully! If this happens to you, contact us directly and we can help with negotiating a repair with the warranty on your behalf. Sometimes it’s just having experience about how to handle these situations…or maybe it’s our magic wands we use! What do I look for in a home warranty company? It’s important to find a reputable company that has been highly recommended by others. Investigate their long-term history and Better Business Bureau information. Compare coverage levels and upgrades to standard packages along with deductibles and service fees. Read the fine print on contract to understand any co-pays and exclusions. Understand how you can cancel a contract. 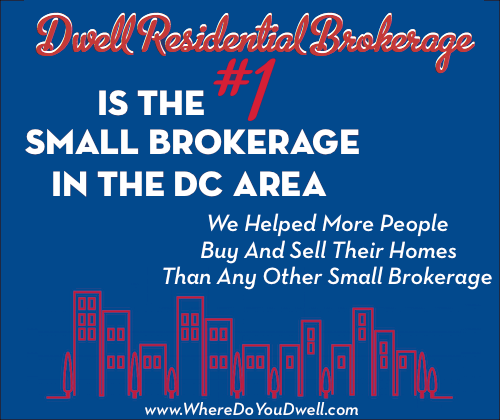 Let us know if you have any questions about getting a home warranty or which companies we recommend. Whether you’re a current homeowner or new homebuyer, we can help make sure you are covered for your type of home.